Take advantage of exclusive online-only offers on Economy and Business Class tickets to more than 160 destinations around the world. Fares start from PKR 57,600; all you need to do is book, pack and fly. 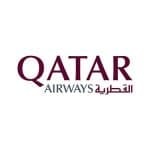 Book your ticket on qatarairways.com by 11 April 2019 for travel until 30 November 2019.